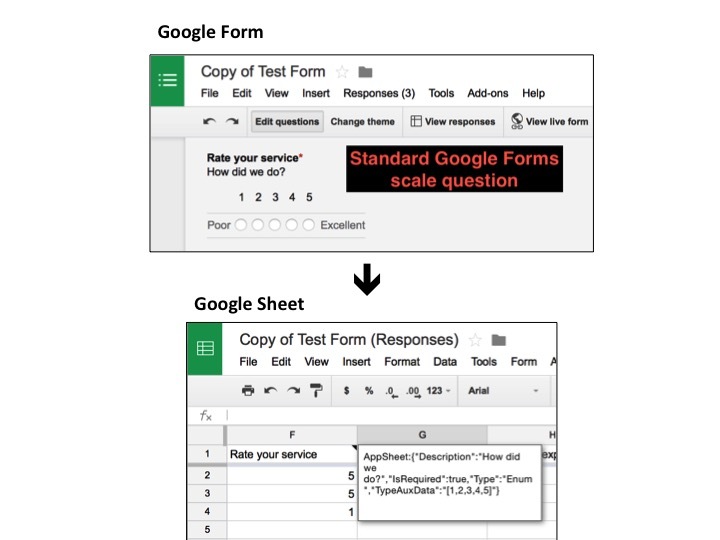 Most of you know AppSheet has an add-on in the Google Sheets store, but did you know you can also use AppSheet to mobilize your Google Forms and view Form results? 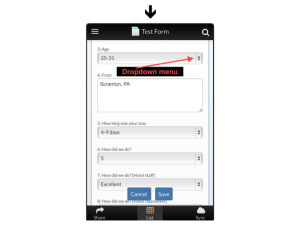 Visualize Form responses through a mobile app, host your Forms in a mobile app to give to folks to fill out, or both! The Google Forms AppSheet add-on works much the same way as the Sheets add-on, with one exception. 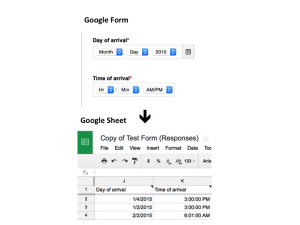 To be able to correctly interpret the Form data and allow you to see responses, Google produces a 'response' Google Sheet for each Form. This Sheet is what AppSheet uses to generate a mobile app. See the figure below to visualize the process. Once you have installed the AppSheet Forms add-on, have received a couple of responses, and are ready to make an app, click 'Go' in the AppSheet pane that pops up on the right of your screen. You'll then be taken to AppSheet.com where you can edit and customize the app as well as view the response Sheet. 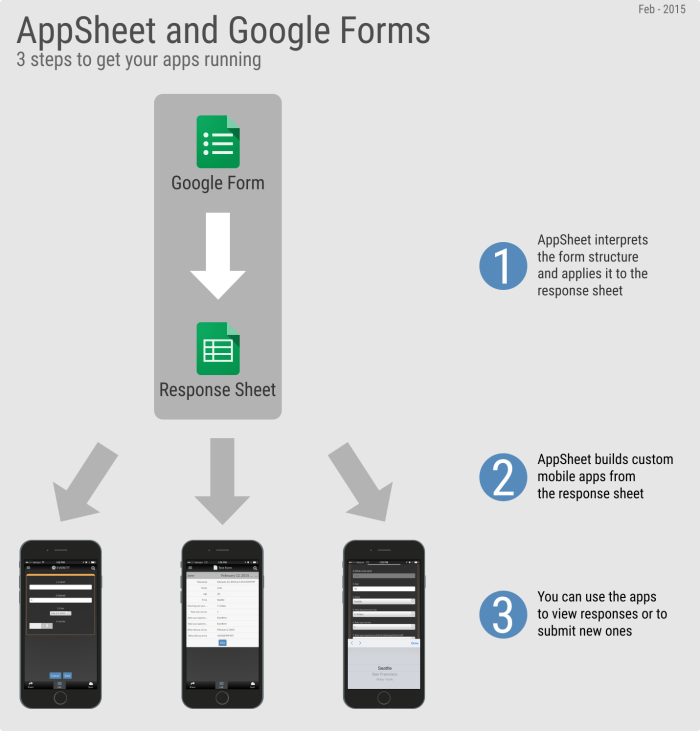 Note: it's generally a good practice to wait until you have a few responses before generating a mobile app, so AppSheet has a populated spreadsheet to work with. 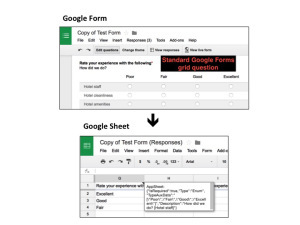 Google Forms features several question types: text, paragraph text, multiple choice, choose from a list, scale, grid, date, and time. AppSheet automatically carries over the formatting of your Google Forms questions to the Google Sheet in ways that are compatible with our apps' functionalities. However, AppSheet makes a few modifications on those question types that work within the mobile app environment, and indicates them as comments on the headers of the columns. I made a sample form, one that a hotel may give to its patrons to answer questions about their stay. 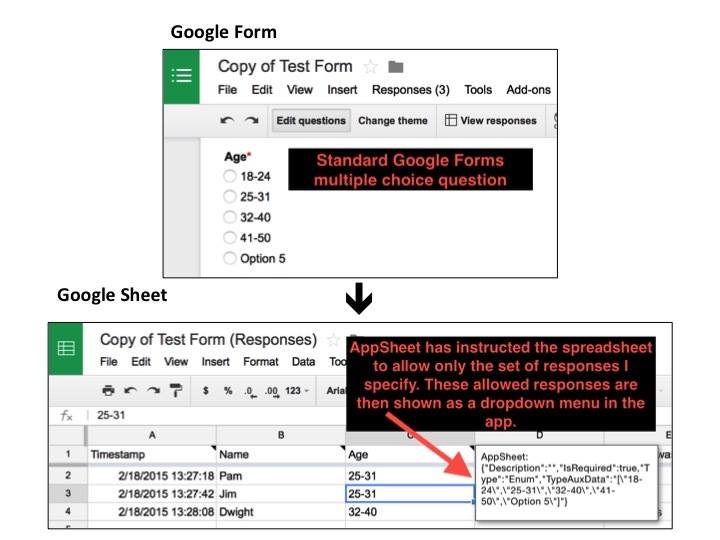 Continue reading to see how AppSheet interprets the Google Forms question types. 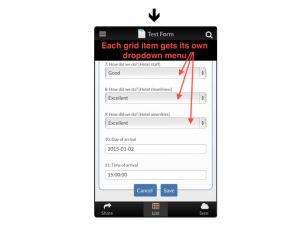 Text: This question type translates as a text box in the mobile app and appears as a text type in the spreadsheet. Paragraph text: This question type is a longer text box in the mobile app and appears as a text type in the spreadsheet. Multiple choice: A multiple choice question in Google Forms appears with radio buttons, but AppSheet apps present this as a dropdown menu. AppSheet has made sure to carry over the question's formatting in the corresponding column header of the response Sheet. See this in action below. Choose from a list: this works just like the multiple choice option and is shown as a dropdown menu in the app. Scale: you can use a scale type to gather answers on a scale from one to ten. This can also be represented as a dropdown menu in the app. Grid: you can use a grid type to have a set of similar questions that require a rating. This works much like the scale, but would be useful in the case there were multiple related questions that didn't warrant being a question on their own. Instead of the grid format, this question is represented as a dropdown menu in the app. Each item in the grid gets its own column in the response Sheet, and is then treated as its own question with its own dropdown menu containing the possible answers. 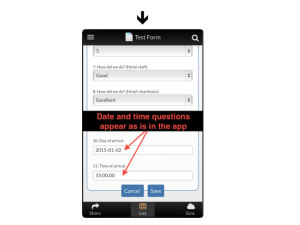 Date: Date question types appear as dates in both the response Sheet as well as the app. Time: Time question types appear as times in both the response Sheet as well as the app. Check out AppSheet in Geekwire!